Readers are unlikely to have heard of the Coptic Orthodox Church. 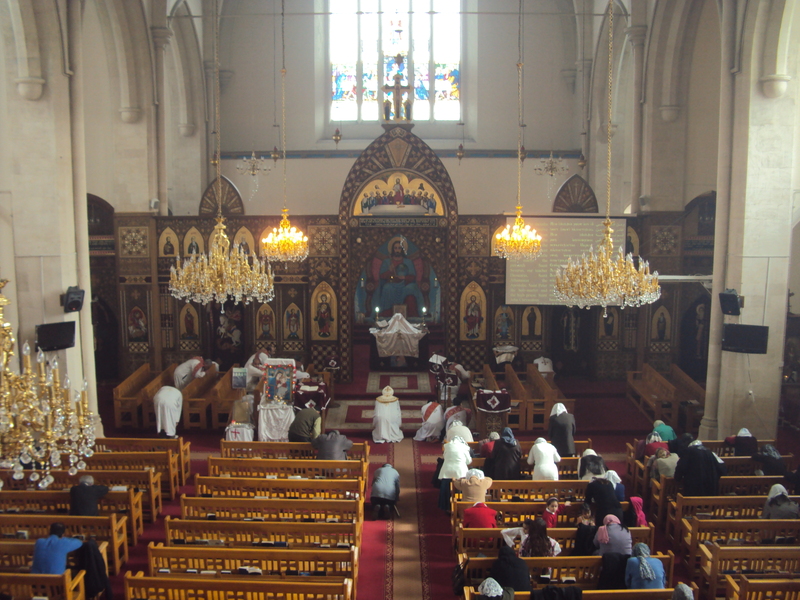 Yet Brighton & Hove is home to a huge Coptic community based in what was once the Church of St. Thomas the Apostle on Davigdor Road. St. Thomas’s was completed in stages but the key year in my mind is 1907 when two bays of the main building opened beneath a temporary flat roof. The red-brick structure was to consist of eight bays but five were actually built. This intention is quite apparent both internally and externally even now if you look closely. The architects were Clayton & Black, who were also responsible for Gwydyr Mansions, the Duke of York’s Cinema, the French Convalescent Home on the Kemp Town seafront, and the pink granite Leeds Permanent Building Society offices on North Street. 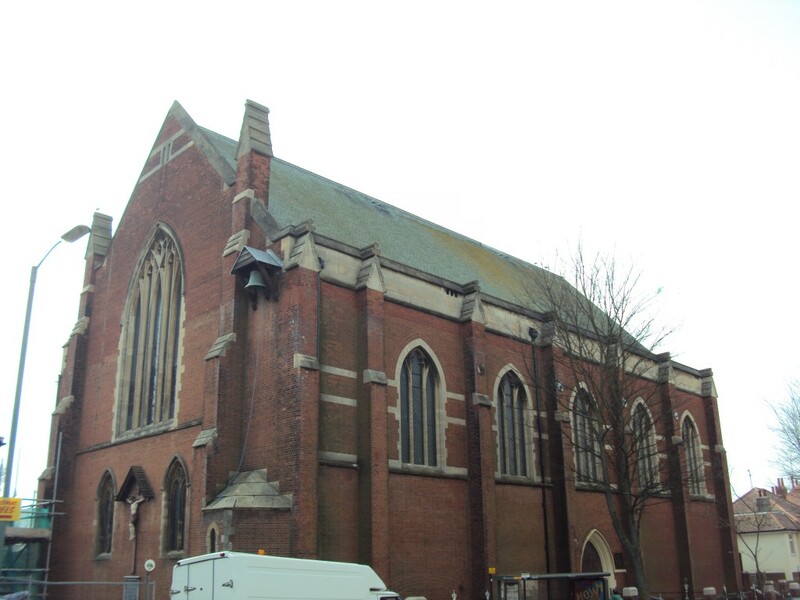 As St. Thomas’s, the building faced demolition and the last Anglican service was held there in 1993. But in 1994, the building was consecrated under a new name, St. Mary & St. Abraam, by the leader of the Coptic Orthodix Church, Pope Shenouda III. Prior to that point, services were held at All Saints on The Drive. The growth of the community, today numbering around 5,000 mainly from Sudan and Egypt, would not have taken place without the support of its enigmatic founder, Gamal Khalil. St. Mary & St. Abraam is today used every day of the week. Services tend to be held in Arabic but there is an English service on Saturdays. Contrary to my preconceptions, the priests are surprisingly modern and use laptops and i-Pods to get the message across! A vicarage was built on Nizell’ s Avenue behind in 1929 but was separated from the church at some point. It is now reunited with the main building and is home to a thriving Sunday school. A particular architectural treat within the church is a huge iconostasis which separates the sanctuary from the rest of the interior. It was carved in Cairo from American oak and French mahogany and then shipped over in sections. A crypt exists beneath the basement but this is currently sealed off. This year, Easter will be celebrated on Sunday 4th April by the Coptic Orthodox Church, the same date as the Church of England. I am not religious nor can I speak Arabic, but I will certainly be in attendance to support this immensely welcoming community which I respect deeply.